The Insult is among the five finalists recently nominated for Best Foreign Language Film at the 90th Academy Awards. The film, also known as Case No. 23, is the first Lebanese film ever to be nominated for an Oscar. This thought provoking film is directed and co-written by Ziad Doueiri, of West Beirut and The Attack, fame, and stars Adel Karam, Rita Hayek, Kamel El Basha and Julia Kassar. It has already garnered a prize at the Venice International Film Festival Venice 2017, where Kamel el Basha won the Volpi Cup for Best Actor. Set in Beirut, the plot shows how a minor incident between a Lebanese Christian and a Palestinian refugee escalates into a full-blown crisis. As Doueri himself noted in an interview to the L.A Times on January 18, “In the Middle East, words are loaded.” Thus, a simple insult anywhere else that, would at most result in a fistfight, ends up being litigated in court and pitting whole communities against one another. But, Doueiri’s film goes beyond showing the inflammatory power of words in a tense political environment. 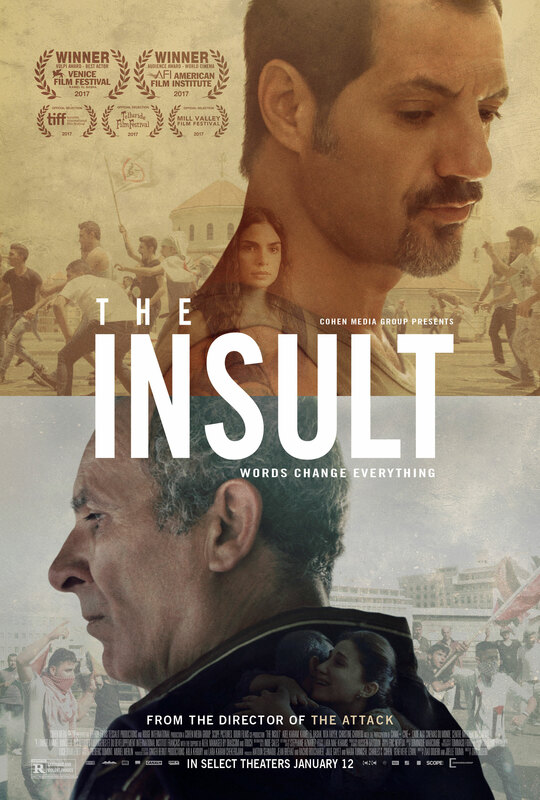 The drama that ensues from the insult and the overblown ramifications that follow, uncovers the deep seated social and religious tensions that continue to fester in Lebanon today, more than two decades since the end of the tragic civil war that ravaged that country. The film is an apt sequel to Doueiri’s 1998 first feature film, West Beirut, which depicted life in the divided city during the early days of the Lebanese civil war. 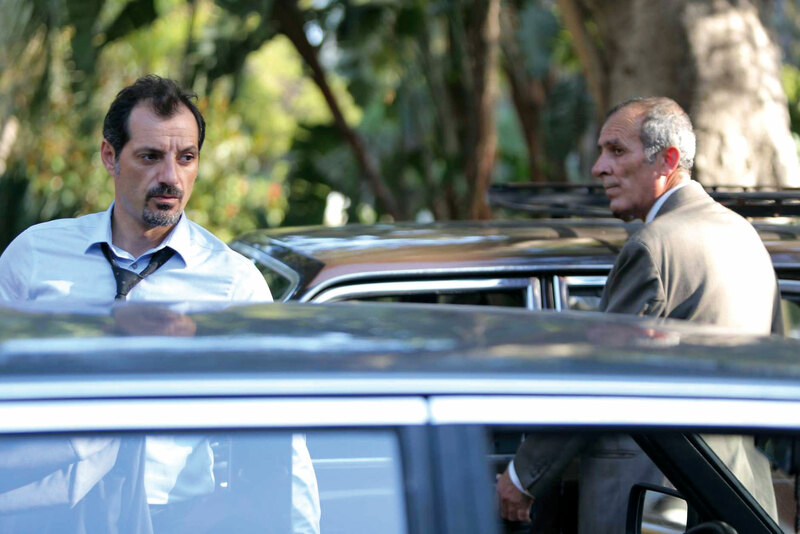 In The Insult, Doueri illuminates a different angle of the15-year sectarian conflict, namely the still festering tensions today between Lebanese citizens and Palestinian refugees who remain there with no hope of return to their homeland due to Israeli occupation. Thus, the film is also a reminder of the plight of the Palestinian refugees who, through no fault of their own, are stuck living in refugee camps in Lebanon and elsewhere, where every now and then, nationals of those countries resent their continued presence in their midst. The film forces the viewer to look inwards and to wonder whether they may be guilty of the same lack of empathy when faced with similar situations. You leave the film with an affirmation of the importance of reconciliation and healing and the need for everyone to do a better job of acknowledging each other’s humanity. In fact, Doueri’s script could apply to any country where the wounds of war continue to fester unhealed long after protagonists lay down their arms. Not unexpectedly, while the film has been critically acclaimed, it has also drawn much controversy, and has been attacked by Palestinians as unfair to them. It has been banned in Palestine and Jordan. Such controversy is not new to Doueri, however. 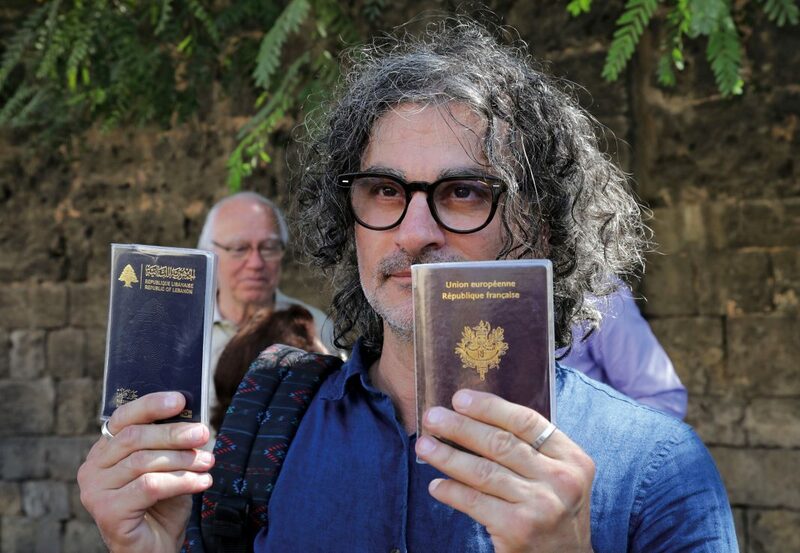 His last film, The Attack, was even banned in his own country, Lebanon, because he had filmed parts of it in Israel, which is in contravention to Lebanese law. Since its screening at the Venice International Film Festival, The Insult has been making a huge buzz all around the globe. It was also highly acclaimed when it was shown at El Gouna Film Festival in Egypt last year.